We’ve just released Fleio 0.9.3. 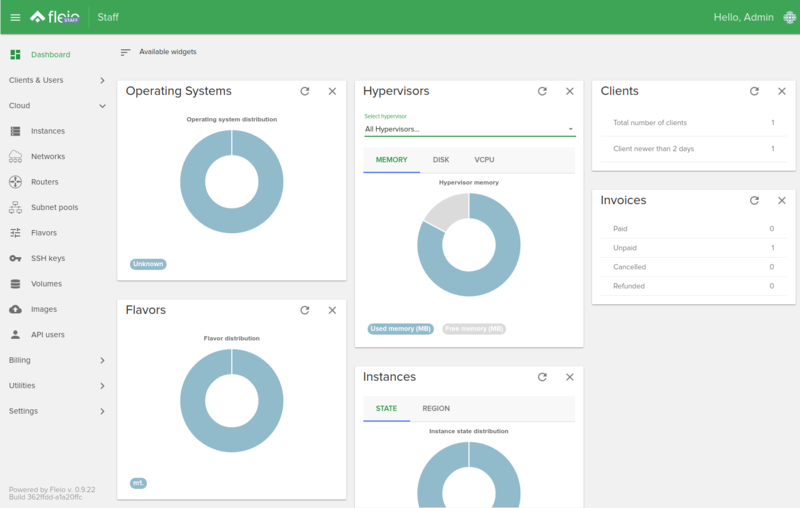 This is another alpha release meant to offer a preview of OpenStack billing features and self-service portal features. It’s not intended for production use. A first version of internationalization is available. Besides English, we’ve included a Romanian translation and an incomplete German translation. We’ve added floating IPs to Fleio. Note that they are not enabled by default. 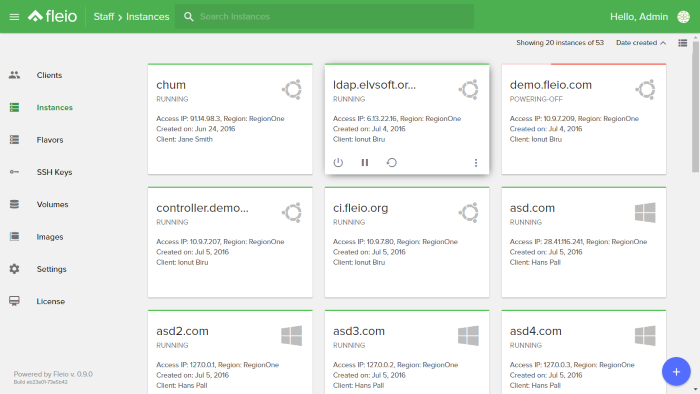 We’ve made significant advancements in multi-region support and it’s almost ready. We’ll probably have full support in the next release. 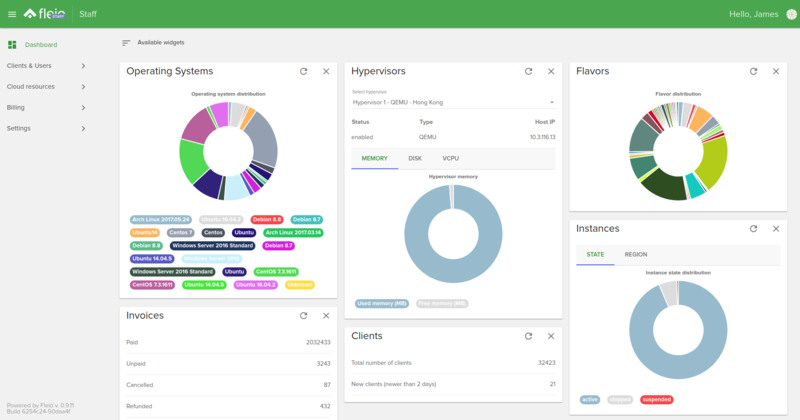 You can now choose which OpenStack flavors to be available in Fleio when creating or upgrading a virtual machine. We’ve done some architectural changes, introducing a collector service that runs in each OpenStack region. Fleio collector connects to the OpenStack internal message queue, filters messages and forwards them to another queue for Fleio backend to process. The Fleio collector lowers the number of messages passed from your regions to Fleio, reducing bandwidth usage and improving performance. The collector is an optional service and you can run Fleio without it. Especially if you’re running a single region and Fleio is configured to have access directly to the OpenStack messaging broker. The updated service, which gets OpenStack messages and updates our cache database, was rewritten to be more scalable and maintainable. Fleio was designed from the first days to be able to serve the frontend files from any server, even from a CDN. And now we’ve split the fleio installation package into fleio-backend and fleio-frontend. We plan to launch the first Fleio stable verison at the end of January 2017. Fleio is an OpenStack billing system and self-service control panel for public cloud service providers. Version 0.9-alpha, the first public release, is now available to download and install on-premises.